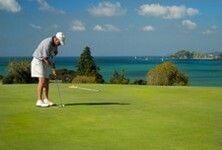 France built the very first golf course in Europe, in the south-west of France near Pau (Pau Property Guide). And now, of the top 100 golf courses in Europe, over 25 are in France. So if you're thinking of buying a property abroad and you like golf, then France should be on your list. There are some fabulous properties currently on the market on or near to golf courses, and we have picked the best of them. And as a result of the economic gloom of recent years, 2018 offers a prime chance to find bargain properties. Many sellers have reduced prices, as they have done with a few of the properties below. France's warmer, sunnier climate is perfect for golf (Weather in France), with the courses being located in beautiful areas (with over 40 in Brittany alone). And France's celebrated food and wine make the ideal end to a day's golf. For some, the ease of living on a golf development in a purpose built, modern apartment fulfils the dream. You can now find properties actually on these developments with just a short stroll to the first tee. For others, an older, character residence set within minutes of a course is a more appealing option. Luckily, France offers something for all tastes and purposes. As golf is so popular, you could also bring in a useful income from renting out your property when not using it yourself. Or find the right property and create your own golf development! Choosing the right region can be important. If warmth and sunshine are paramount, the Languedoc is a great region to head for to enjoy all year round golf (Property for Golf Lovers in Languedoc). The region has more than 14 courses, most of which have been built in the last 25 years. While golfers enjoy the courses in Carcassonne (Carcassonne Property Guide), Béziers (Béziers Property Guide) and around the region, non-golfing members of the family can explore historic cities, visit Cathar castles and discover the vineyards and wines (Languedoc wine - to be savoured and enjoyed). Courses close to the sea can be found in Brittany (Brittany Property Guide), and also all down the Atlantic coast (The French Atlantic Coast from Biarritz to Southern Brittany). This gives plenty of chances for non-golfers (especially families with children) to have an enjoyable holiday. Summer time is golfing time in the mountain resorts once the snow has melted (Best Alpine Villages in Summer). A ski cupboard in your chalet makes a good home for the golf clubs in the summer season. Chamonix (Chamonix Property Guide), for example, is a well known ski resort with an almost equally good reputation for golf. Most parts of the country are easily accessible from the UK, by air, sea, rail or land (French Connections). 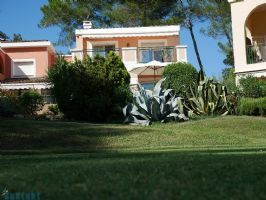 Golfers seeking property to use mainly for short breaks may prefer to stay in the north of the country, as you can sling your clubs in the boot along with your weekend bag and just drive onto the ferry or tunnel train. The south has (almost) all year round sunshine and warmth, but the trade off is that flying with golf clubs can be a hassle. Keen golfers - now is the time! 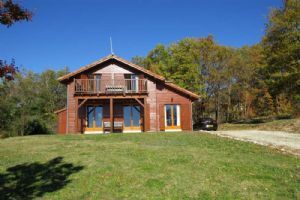 An attractive rural house in a small rural hamlet located in the North Deux Sèvres 3km from Faye l'Abbesse with local shops and 15 minutes from Bressuire, where there are all shops and services including a new golf course. 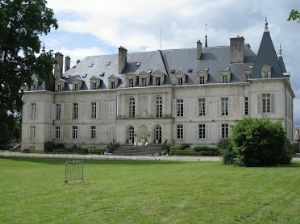 90 minutes from the Vendée coast and several airports including Poitiers, Nantes and La Rochelle. The house is 200m from the river Thouaret. 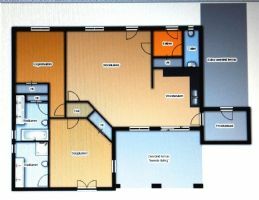 The house offers 3 bedrooms and a cellar under with the potential to create a garage. Enclosed gardens of 496m². 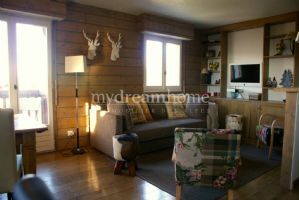 2 bed bungalow in holiday village at Les Forges Golf, 79. Sitting in a hedged plot of 930m2, this quality 2008 bungalow offers 106m2 living space comprising an entrance hall with cupboards, living room with cathedral ceiling, open onto a fully equipped kitchen, utility, bedroom with built in cupboards and en-suite bathroom/wc, second bedroom with built in cupboards and en-suite shower room/wc, plus a separate wc with handwash. Award Winning Restoration of Country house with 3 Traditional Properties, 7 acres of park land. Don’t miss out on this exciting opportunity to purchase a unique complex of buildings set in 7 acres (2.8 hectares) of land. 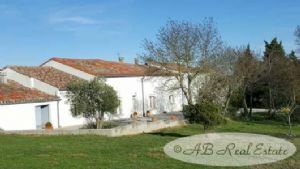 The estate is situated in a picturesque village 5 mins drive from Ste Sévère sur Indre, a small country town with a few shops, the museum of Jacques Tati & a weekly market. 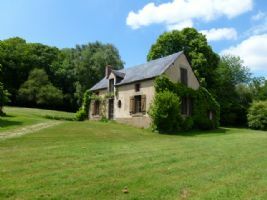 It has an entirely private outlook near a luxurious golf course and is 15 mins from the town of La Chatre. 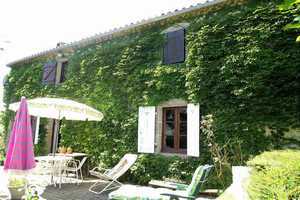 Each property has the potential to be lived in or rented as large gites. Located within the prestigious residence of Mougins Royal Golf Club with a swimming pool and a steward, this beautiful South-West facing 4 room villa enjoys excellent views over the golf course. It boasts, on the ground floor: Entrance hall, living room/dining room with fireplace opening onto a wide 25 m² terrace, separate equipped kitchen opening onto a patio, garage, on the first floor: 3 bedrooms opening onto terraces, bathroom, wash room. Green fee included. 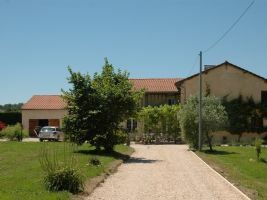 A property such as this one is hard to find - 100ha of grounds in the middle of splendid nature, sitting on a plateau, with overwhelming views and two spectacular lakes with a surface area of about 3ha - and all that only a short drive to a village with all amenities and within easy access to the world famous medieval city of Carcassonne with its airport, train and motorway, golf course, located in the Languedoc Roussillon, Occitanie, South of France.